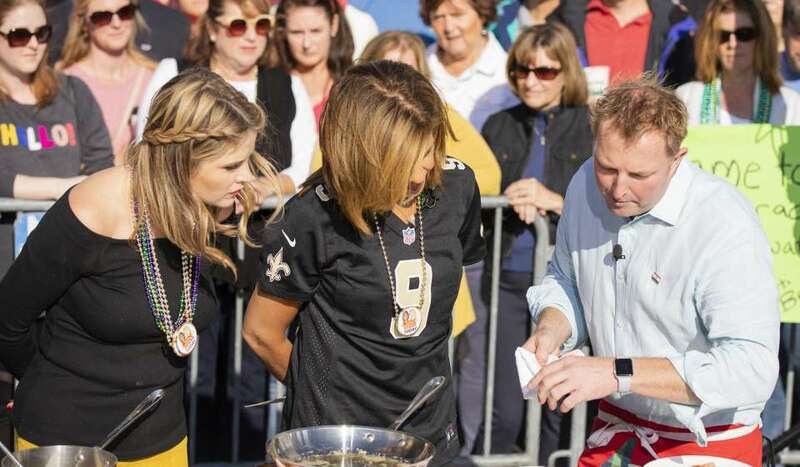 Hoda Kotb and guest co-host Jenna Bush Hager brought the fourth hour of NBC’s TODAY to New Orleans in celebration of the city’s Tricentennial. 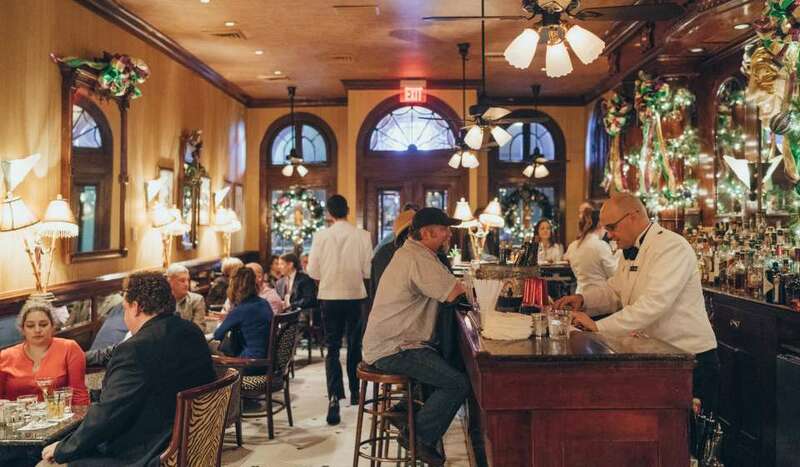 You can bet the two shows were jam-packed with New Orleans characters, delicious food and cocktails. Hoda is no stranger to New Orleans, where she worked as a reporter for local WWL-TV from 1992 to 1998 before joining NBC News. 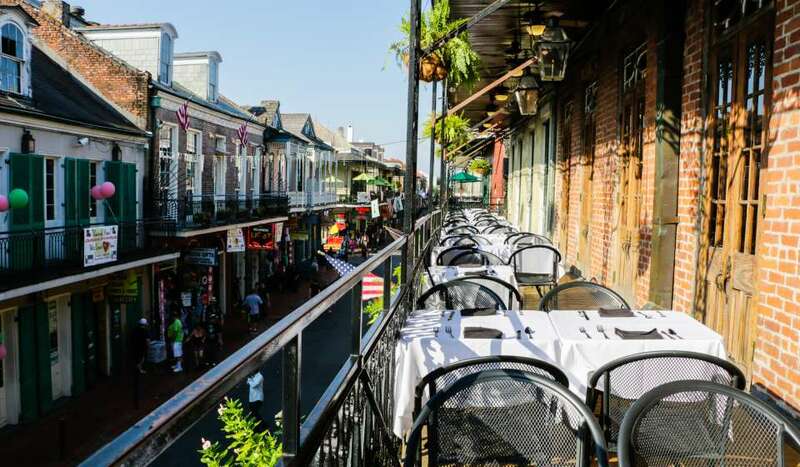 She jumped on the opportunity to gush over her favorite places in the city, and lead TODAY regular Donna Farizan (or Donnadorable, as she’s known on the show) on a New Orleans Hot Spots tour. 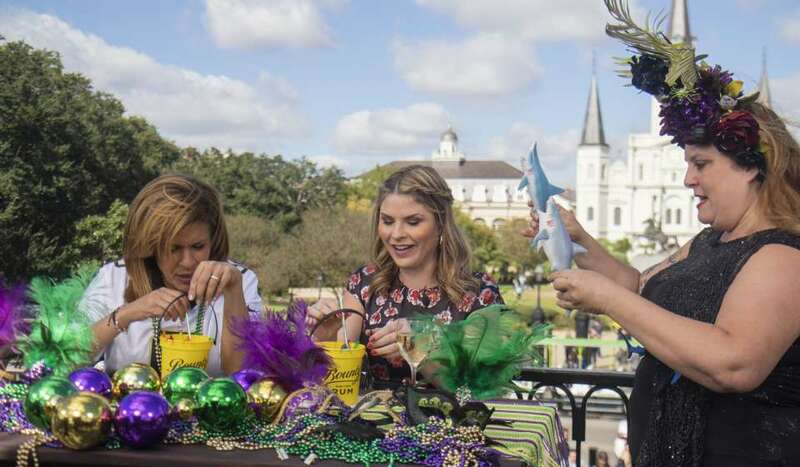 From po-boys to gumbo and haunted tours to swamp tours, here’s a recap of our Top 10 Things from NBC TODAY in New Orleans. 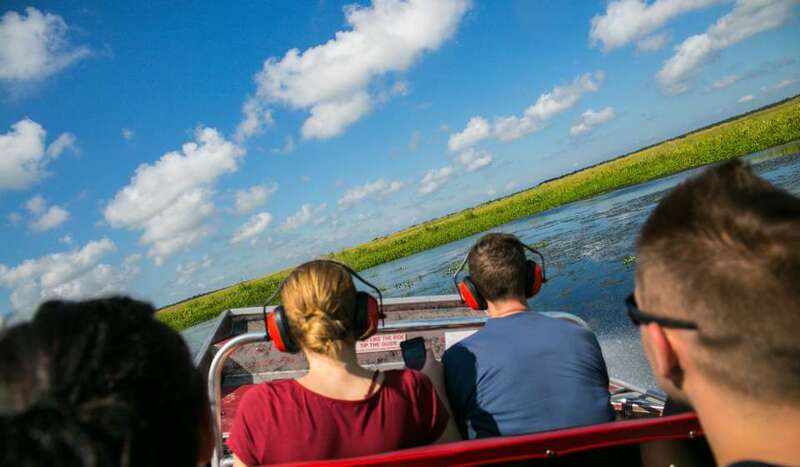 Donnadorable got “wild” with the wildlife through an airboat tour with Jean Lafitte Swamp Tours. There are several swamp tour companies within a short drive of New Orleans, and many offer shuttle pick-up from downtown. Hauntings in New Orleans aren’t limited to the Halloween season. 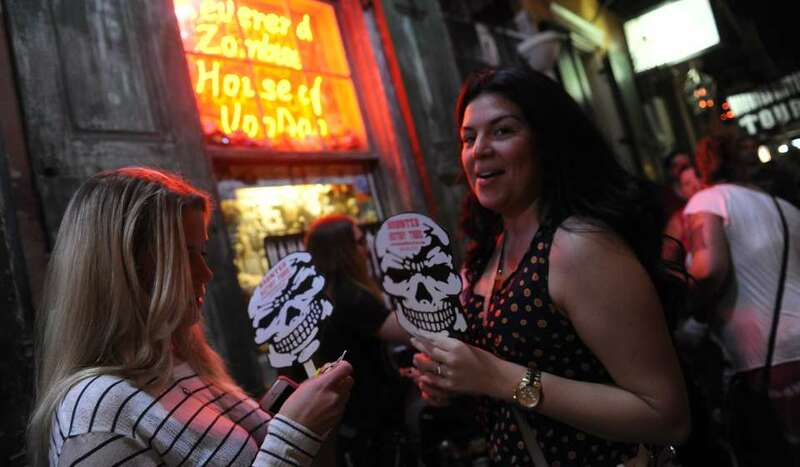 Learn about New Orleans’ spooky history through a haunted French Quarter Tour. Follow Donnadorable’s route and complete the tour with dinner at Muriel’s restaurant, home to its own friendly ghost. Fans of NBC’s TODAY with Kathie Lee and Hoda know that wine is a staple on the not-so-early morning show. 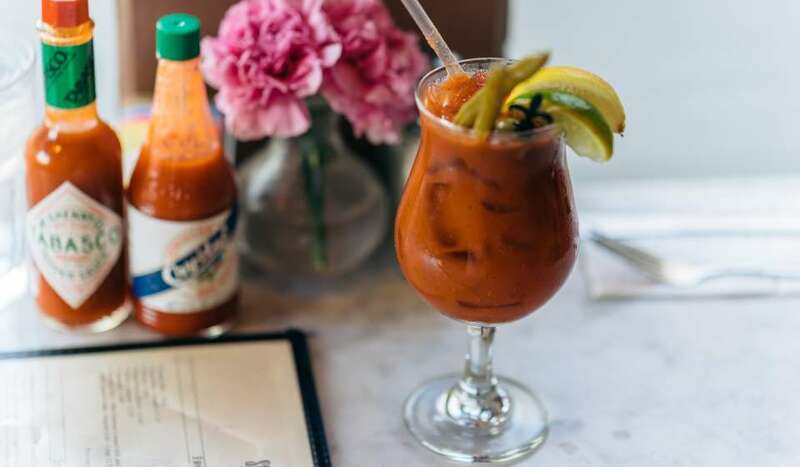 Naturally, wine was replaced for handcrafted cocktails by New Orleans’ favorite barmaid Abigail Gullo of Compere Lapin. Commander’s Palace is one of the city’s most iconic restaurants, and TODAY had Chef Tory back on the show to demonstrate the restaurant’s delicious pecan-crusted fish recipe. Redfish is frequently the featured fish at Commander’s Palace, but any flaky white fish will work. Chef Michael Gulotta made an appearance on TODAY to teach Hoda and Jenna how to prepare a New Orleans classic, chicken and sausage gumbo recipe. His roux adds a layer of depth to the flavor and chili brings the gumbo a mild heat. Gulotta also shares a great tip – add the okra at the end of the gumbo to keep it from having a slimy texture. 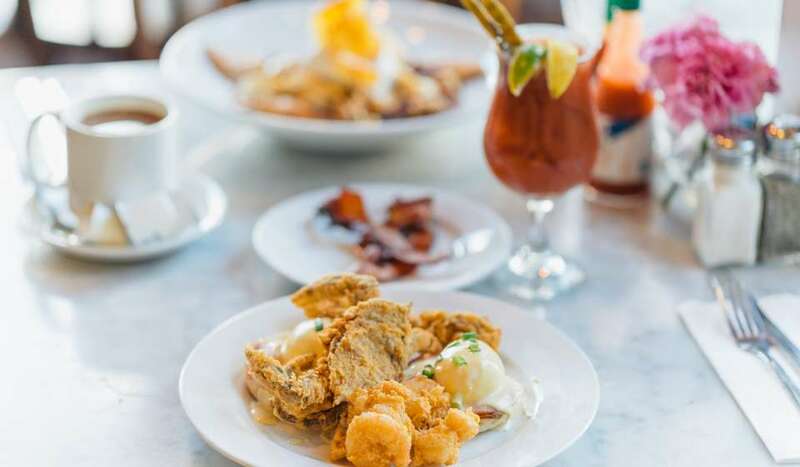 You can experience Chef Michael Gulotta’s cooking, which blends influences from the Mississippi Delta with the Mekong Delta, at Maypop and the more casual MoPho in New Orleans. 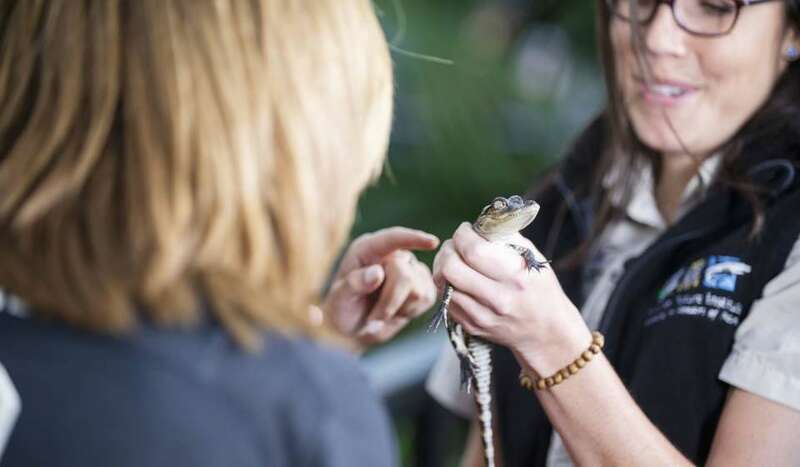 Hoda and Jenna get up close and personal with native animals from the Audubon Zoo, including an armadillo (fun fact: they always give birth to quadruplets), a red-tailed hawk and an opossum. The Audubon Zoo is a fun streetcar ride from the French Quarter, and offers 58 acres of animals habitats including a real swamp to learn about Louisiana’s unique ecosystem and creatures. Fried? With gravy? Dressed? There’s so many ways to have a po-boy, and everyone has their favorites. 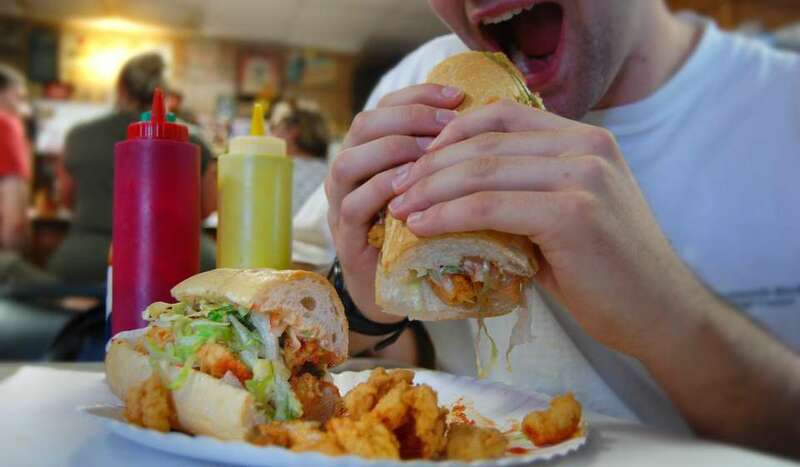 Hoda recommends the fried shrimp po-boy at Domilise’s, and you can get a great po-boy from any of these local spots. Another New Orleans’ favorite is the sno-ball, a flavored shaved ice treat perfect for a hot day. 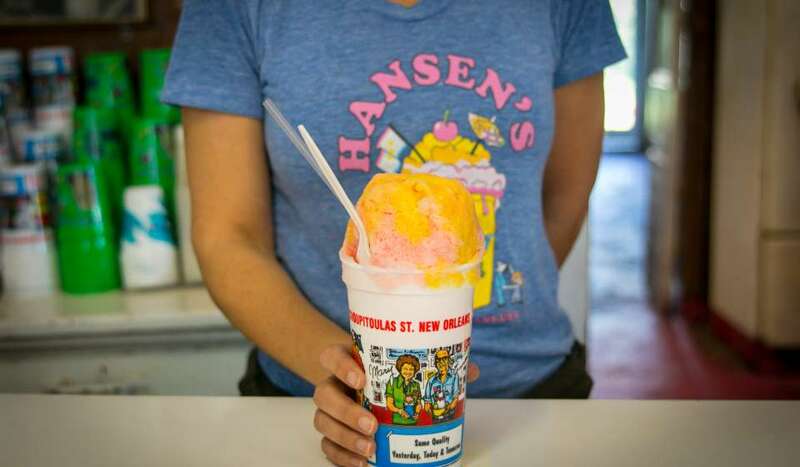 NBC’s TODAY takes viewers to Hansen’s Sno-Bliz, where sno-balls are best described as “air-conditioning for your tummy.” Click here for a round-up of all New Orleans’ sno-ball stands. Elements of Mardi Gras were woven throughout the show, including the 610 Stompers and New Orleans Sirens dance krewes in trivia games. The ladies received the royal treatment and made their grand entrance on a real Mardi Gras float! Mark your calendars for Mardi Gras season, which starts on January 6th and lasts through March 5, 2019. Or, you can experience Mardi Gras year-round at Blaine Kern’s Mardi Gras World to see how carnival is made. None other than NFL Saints super star Drew Brees welcomed Hoda and Jenna to the Who Dat nation, including gifting them a signed football. Hoda is known for cheering for the Saints, and sported her favorite #9 Brees jersey for the show. Plan you next visit for a Saints game to cheer on the black and gold!